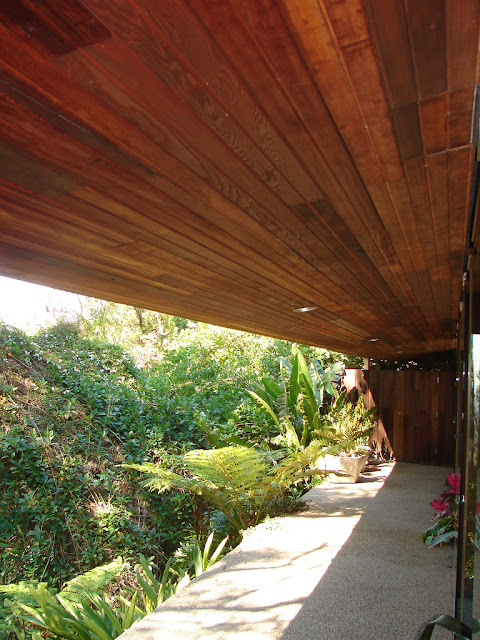 The beauty of concrete, glass and wood. An icon by the golden god of modern architecture, perhaps the most beautiful piece of modern architecture in California, John Lautner's Goldstein Residence. The house is owned by the uniquely flamboyant James Goldstein who is gifted with an impeccable taste in architecture, fashion and women as this video by Steve Shaw for Treats Magazine displays. 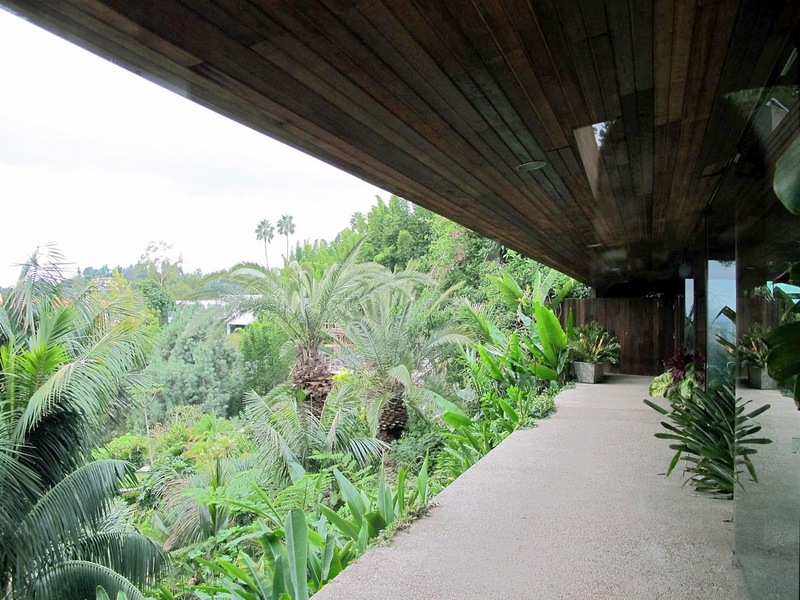 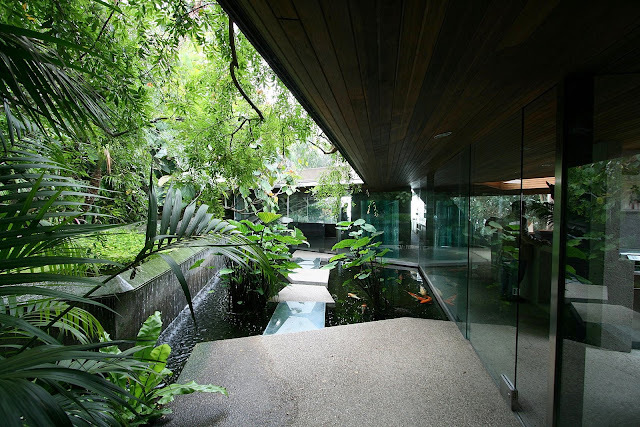 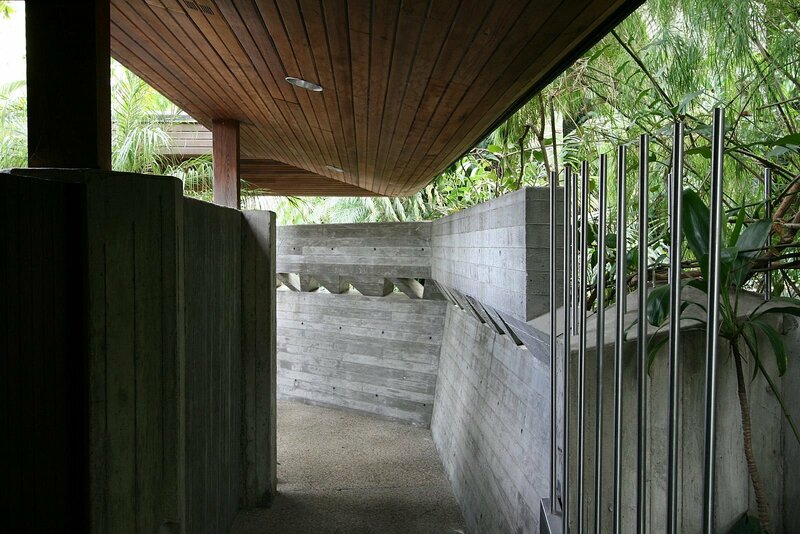 John Lautner's Goldstein Residence beautiful lush tropical landscaping which really compliments the architecture. 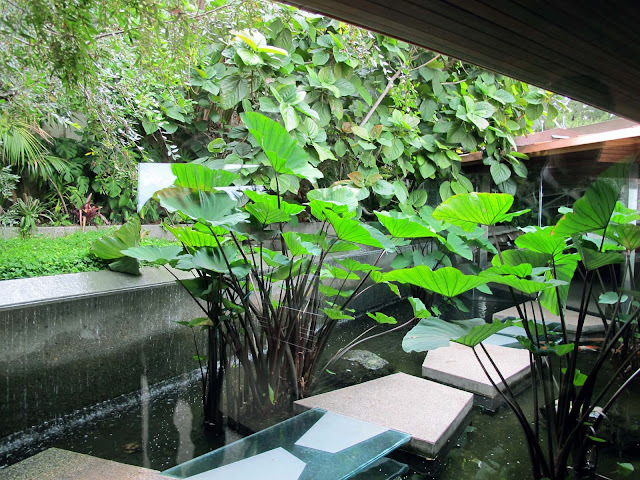 We love the stepping stones over the Koi pond. 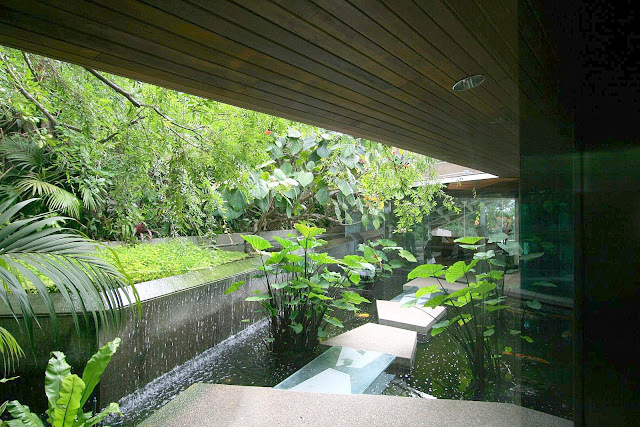 Truly magical. 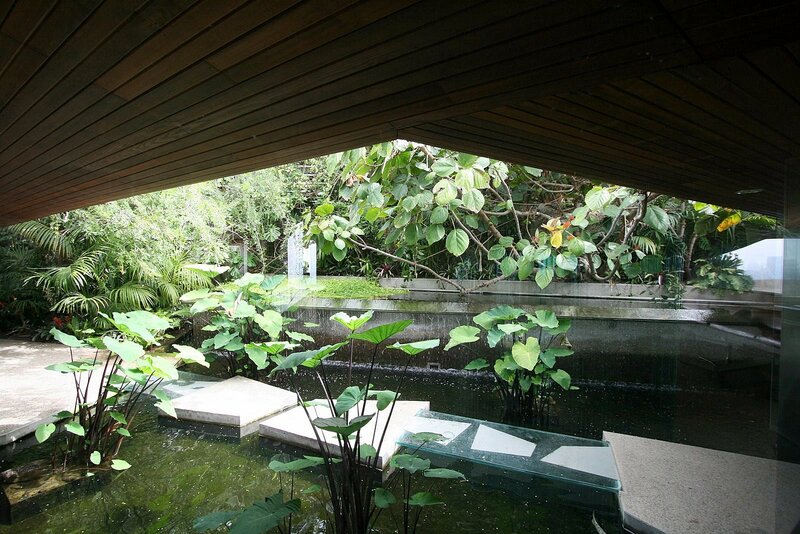 Outside is a beautiful modernist sculpture by French artist Bernar Venet. 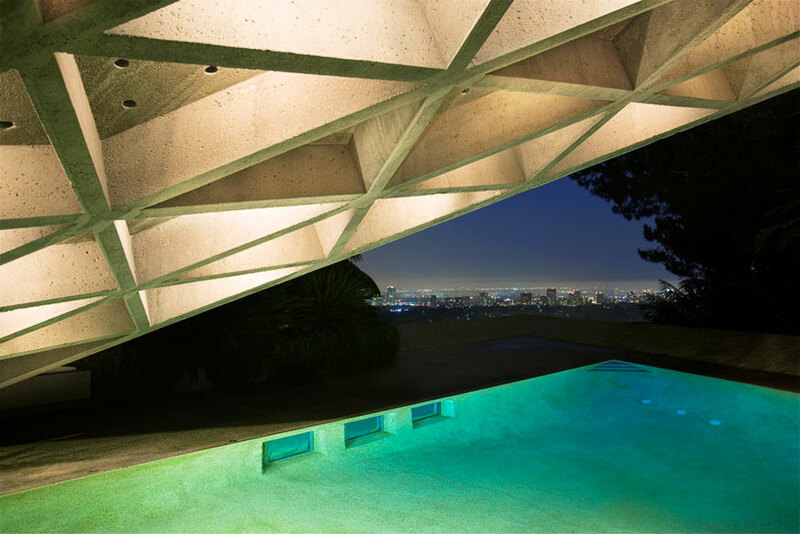 This amazing icon of modern architecture was designed by John Lautner and constructed between 1961 and 1963. In 1972, by the time James Goldstein purchased the house, it had fallen in disrepair. 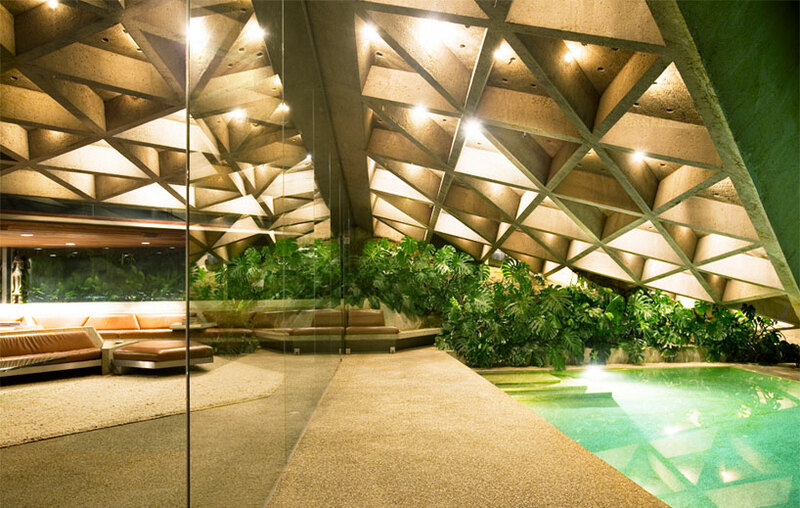 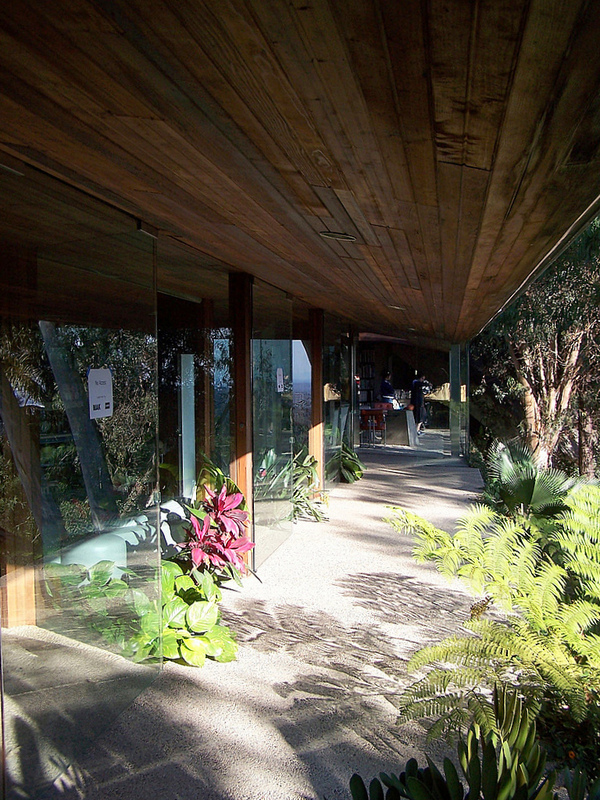 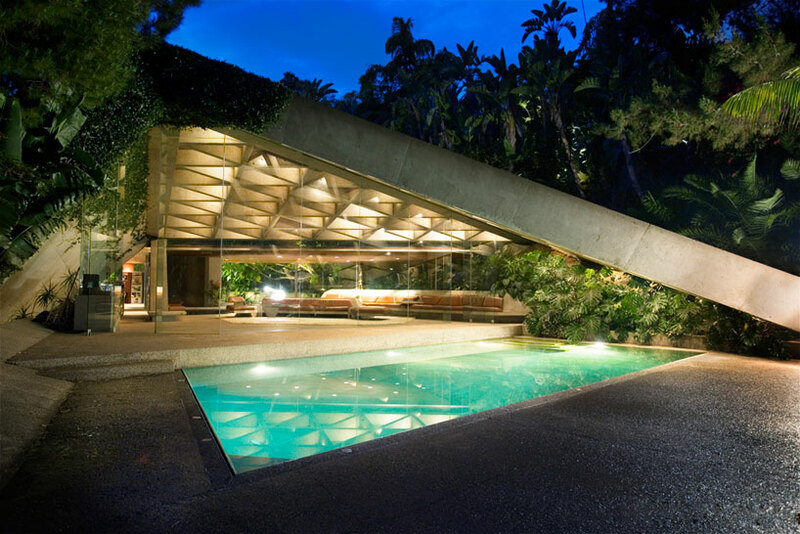 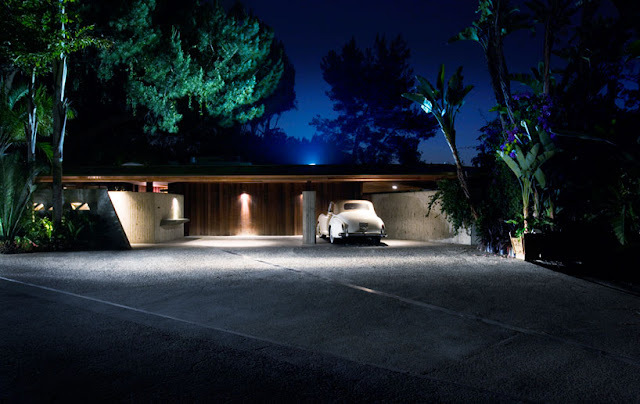 The house, originally called the John Lautner Sheats Residence was promptly renamed the John Lautner Goldstein Residence. 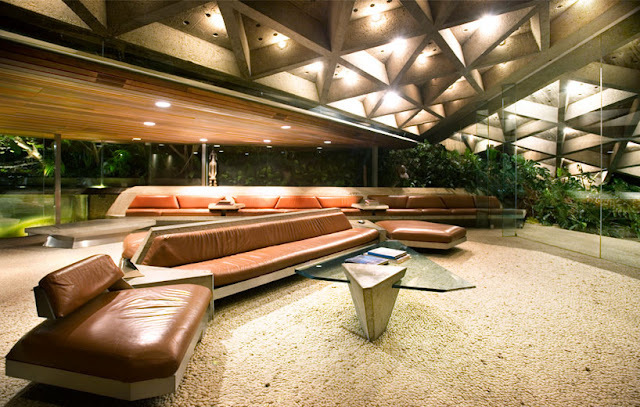 James Goldstein worked closely with John Lautner to restore the structure to its former glory and had John Lautner create several additions. James Goldstein, an avid art collector, even added his own skyspace by James Turrell, also called "Above Horizon", an art installation located on a steep slope below the residence. Originally, James Goldstein conceived this art installation as a collaboration between John Lautner and James Turrell, but John Lautner died before being able to work extensively on the project. 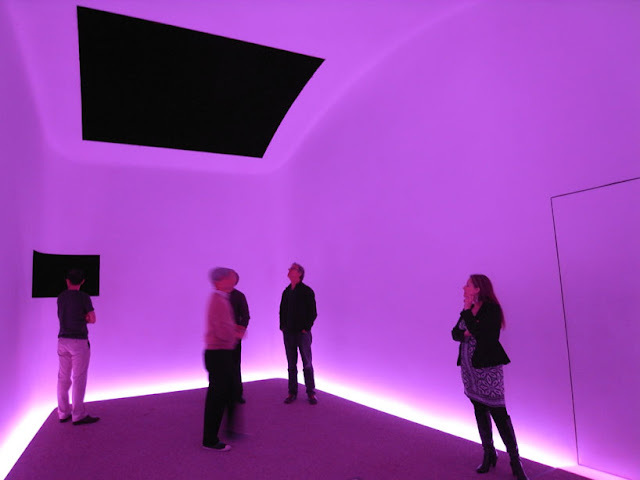 Now finished, the room features two portals, made by a local aerospace engineer, which fold away using carbon fiber composite materials. 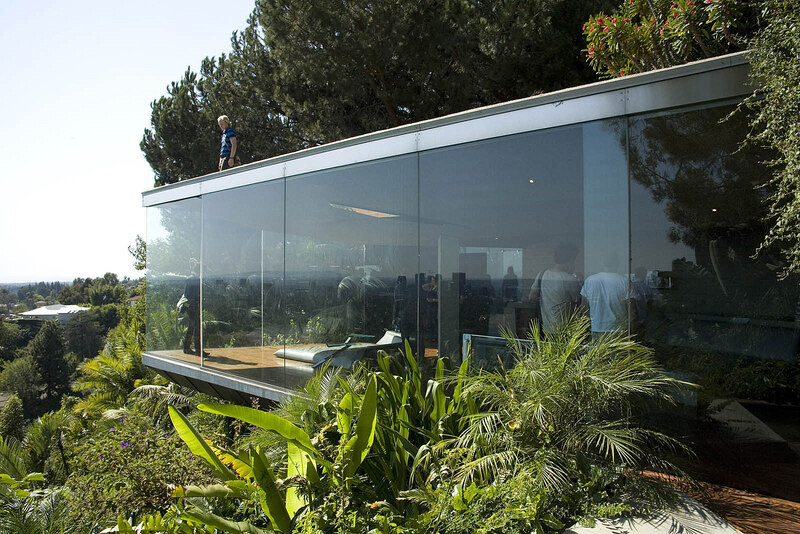 The room also contains a built-in concrete lounge to enjoy the thousands of hidden LEDs that flood the room every evening for the sky and light show.